A summer stag party hopefully means plenty of sunshine, free-flowing drink and a great weekend. We can't help with the weather, as much as we've tried to negotiate a deal with the Met Office, but we can help to suggest the best summer stag do activities. We've compiled a list of the best activities for a summer stag do, below, but please feel free to get in touch to discuss your plans at any point so that we can get you set in he right direction. Take a nice relaxing ride down a white water course, consisting of rapids, whirlpools and craziness. OK, so you're not putting your feet up and chilling out here. 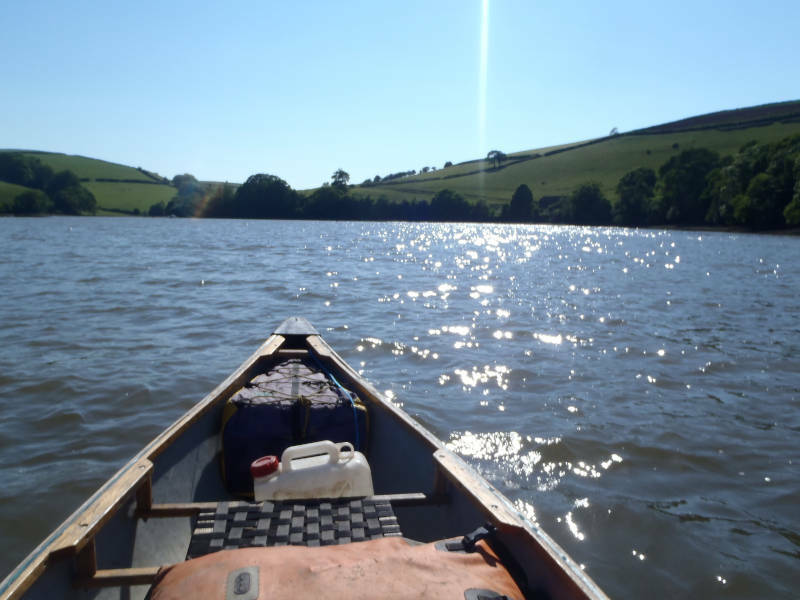 With various international standard courses dotted throughout the UK, you and the group will be given the chance to learn how to handle some tough water, whilst having an awesome time. Perfect for keeping cool on those hot summer stag dos. When: All White Water centres usually offer weekend sessions for around 1-2 hours. Whether you've got experience of surfing or not, a great way to spend an hour or two is out on the sea, with the sun beating down, on top of a surf board. Of course, the amount you're on the board depends on your balance and coordination, but that's the fun of surfing as part of a stag do. Watch as the 'pros' in the group fall off, opening them up to all sorts of ribbings. As a summer stag do activity, this has to be up there, however there are very limited locations that offer it and also offer all that a stag do needs, so it's something to keep in mind. When: Any time, providing the weather and surf conditions are suitable. These trips are proven to be some of the most popular among stag do groups looking to escape from the hustle and bustle of city life. With the chance to get into the wild and explore your inner-cavemen, these trips can last anywhere from an afternoon to an entire weekend. They can be part of your summer stag do weekend but a lot of stag groups decide to make a weekend of it. You could even use 'poor signal' as an excuse to escape your girlfriend/wife/other, as long as the other guys do the same (you don't want to be found out). Whilst these trips are not available everywhere, so many groups tell us how worthwhile they are to travel for. When: Canoe trips usually set off in the morning and depend on tide times. Bushcraft can generally be done at any time. What could be better than jumping in to the sea on a hot summer day? Jumping off of cliffs and scrambling around on sheer rock faces of course. Coasteering provides a bit of excitement for a summer stag do on the coast. The locations in Bournemouth and Torquay are spectacular and provide great fun for a few hours of climbing, jumping, a bit of swimming (depending on how much you fall into the sea of course) and loads of laughs with the group. All are run with the necessary equipment and instructors will be on hand to let you make sure everyone's enjoying themselves. Get your heads together and work out how to build something that floats from all of the materials that you're given. 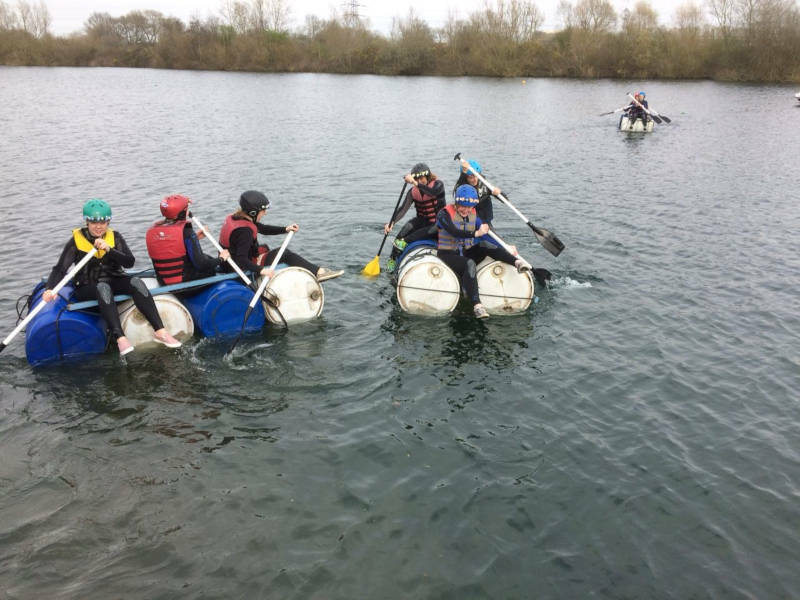 Raft building is usually held on still water, like lakes and big ponds but that being said, it's the teamwork and not falling in that are the things you're more than likely to struggle with. On a hot day however, it could be a conscious decision to 'fall in'! Perfect for a summer stag do activity. When: Any time, providing the weather is suitable. If cruising along a river whilst having a drink with the sun on your back sounds good, then a boat trip would be a great summer stag do activity for your group. Most companies offer trips lasting between 1-2 hours and often have bars on-board, some with the option for food as well, so there are lots of options. The trips are available in some great stag do towns and cities, making it a great choice. 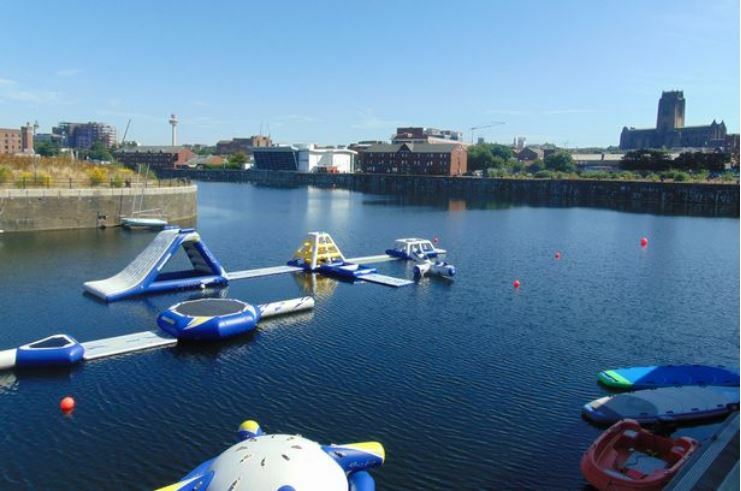 An inflatable assault course with the ability to roam free and throw yourself into water from various heights and in any way you fancy. A great way to spend some time on hot summer days. 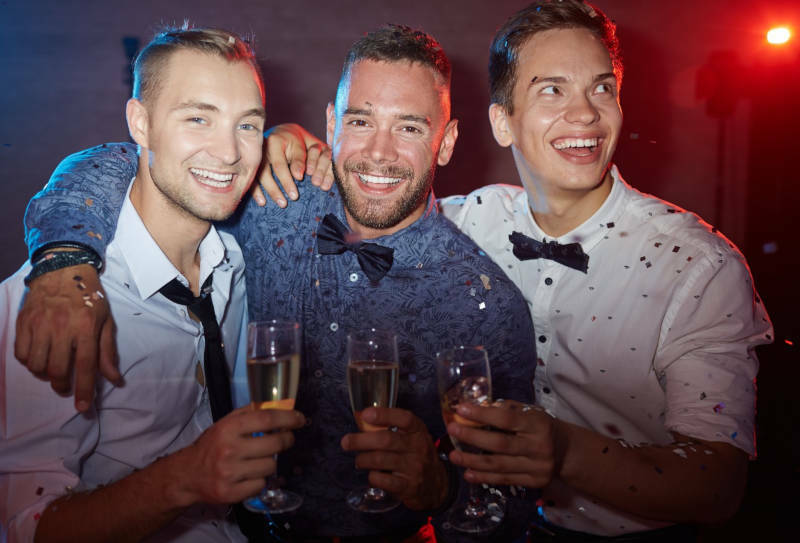 Although there aren't many in the UK, they are still very popular with all groups and add something a little bit fun and different to a summer stag do. One of the most popular summer stag do activities across the UK. With the most popular sessions involving maniacal beasts, capable of achieving top speeds of 40mph around dirt tracks this is certain to put a smile on your (dust-covered) faces. There are various types of session across the UK, but most offer a time-trial format to reduce the risk of anyone actually dying on a stag do. 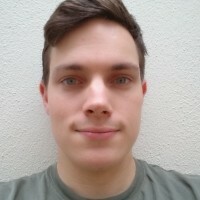 When: Sites run mostly weekend sessions, but other times are possible. Obviously if a Hovercraft is good enough for James Bond, then it has to be one of the most suitable summer stag do ideas for your group. We won't promise explosions, flamethrowers or the Chinese Military being there (in fact, we hope that none of these happen), but Hovercrafting is great fun and you'll officially be able to say that you've piloted a flight. Although they are in limited locations, Oxford and Liverpool also offer some great options for summer stag dos. So you think that Michael Schumacher's abilities as a driver have nothing on yours? Prove it! With formats from time-trial sessions to races with qualifying sessions, there are so many ways to get your karting fill. Being outside on karts that can achieve up to 40mph in the summer heat is definitely a winning summer stag do activity. When: Pretty much any time, so just get in touch to let us know when you'd like to go. 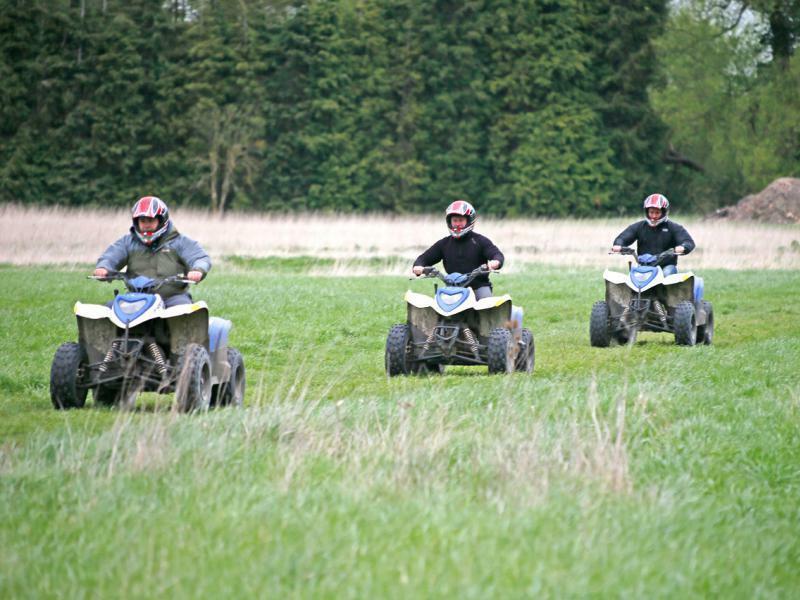 From woodland trails to time-trial circuits, there are plenty of quad biking options for the perfect summer stag do. With the average amount of horses between your legs coming in at around 200cc, there will be plenty of opportunity to get your adrenaline pumping. Most centres offer 1-2 hour options, to really get the hang of your 4-wheeled beasts. When: Sessions are available during any weekend day and can also usually be organised for larger groups during the week. This may not sound like much fun, but trust us, until you've tried to push (literally) forward for speed on a Segway you'll have no idea of the fun you can have. The last time we did Segways our boss fell off and it was utterly hilarious... we hope he doesn't read these blogs! With various challenges and obstacles to overcome, you'll never just bimble along in a straight line. Most will take you around a course or through woodland, to experience the best of what these gyroscopic, gliding gazelles can do. STAG SMASH! If you like football, but don't have too high an opinion of the guys you're playing with (likely on a stag do) then you'll love this summer stag do activity. 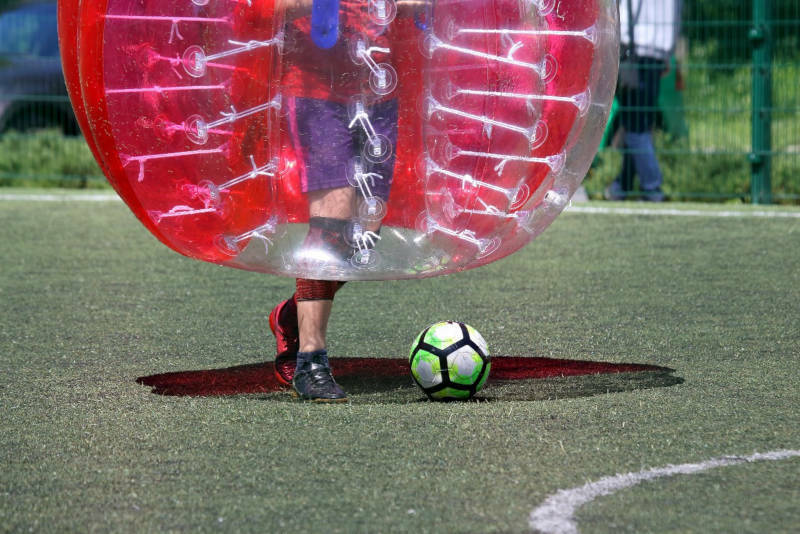 Dressed in a very desirable plastic bubble, you'll all spend 60 minutes causing absolute carnage! With various games to play, you don't even need to know anything about football for this to be an awesome activity. When: Any time (within reason). This a very flexible activity. Whether you like the traditional or trying something a little different, both Footgolf and normal golf are great summer stag do activities. Most Footgolf courses offer either 9 or 18 holes and both Golf activities usually have bars and/or cafes on site to kick back and relax after a hard fought round. Whether it's a title contending football match, Cricket ODI or the National Track Cycling Championships, the UK hosts so many sporting spectacles. With most sports in full swing during the summer, let us know the sport you'd like to see and we'll arrange the tickets for you. Make the stag do great with this great summer stag do activity. When: You tell us which event you would like to see and we'll do the rest. Is there anything more glorious than being in the countryside with a group of like-minded guys with shotguns? It is certainly one of the most popular stag do activities. Add in sunshine and you have an awesome summer stag do activity. 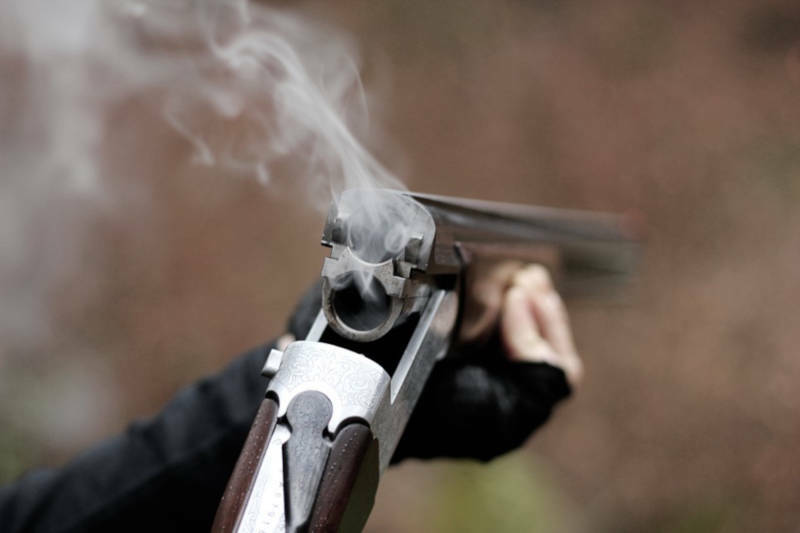 Most centres offer 25+ clays to shoot at (it's more challenging thank you might think), with sessions lasting around 2 hours. When: Some centres only offer weekend sessions, but contact us to find out what is available. A lot of stag groups make the decision to cause great suffering to their mutual friend, the stag. It doesn't get much better than pretending that you're Rambo, but not actually destroying entire towns, so Paintball is a fantastic option. There are great packages offered across the UK, with half day sessions being the most favoured, so Paintball is definitely an activity to consider for the perfect summer stag do. Hitting the trails with a big group could make a stag do, so whether you like throwing yourself down black routes, or prefer to get your kicks from an ambling green trail. The various trail centres throughout the UK usually offer something for any ability. With the vast majority of centres also offering bike hire, it makes it much easier for a group of stags to turn up and ride, rather than spending hours getting everyone set-up. It also means that you don't have to work out how to get everyone's bikes loaded on and off of cars etc. A great summer stag do activity for bike enthusiasts. Have a flutter on the Gee-Gees in resplendent summer sunshine at one of the many racecourses across the UK. With regular meets during summer months, gates are usually open an hour or two before the first race, to make the most of your tickets. With racecourses holding a whole range of bars, eateries and other entertainment, this is a perfect summer stag do activity and you can easily make a day of it. Drinking is a staple of most stag dos and great for a summer stag do. Late sunsets and hot weather are perfect reasons to enjoy a night out on the town on the stag do. Most major towns and cities boast a massive variety of pubs, clubs and other drinking establishments. Whether you're all looking for a couple of bars to get yourself around or VIP entry, it's not going to be a problem. Have a look at our post about great bars in Bristol for some inspiration. When: Any warm (hopefully) summer weekend evenings. Weekdays are usually possible by request.